Book some cultural tours through Vallarta Adventures and experience the hidden Puerto Vallarta historical sites, like El Tuito and a botanical garden. A visit to the southern region of Vallarta won’t be complete without exploring some hidden gems in the Sierra Madre mountain range. Quaint mining towns, Puerto Vallarta historical sites, and a chance to see the authentic side of Mexican culture await the curious traveler. 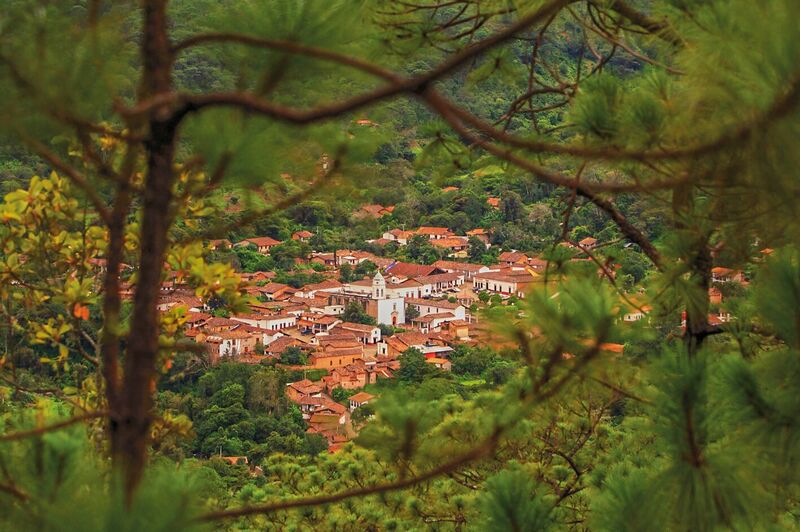 Vallarta Adventures can help you incorporate these must-see mountain villages with our cultural tours, where you’ll discover botanical gardens, the town of El Tuito, and the best food in the region. The town of El Tuito got its name from a pre-hispanic language, Nahuatl, and means “beautiful small valley,” and most of the town’s activity happens at the main square, La Plaza. There are restaurants to stop at as you enjoy the beautiful architecture and local traffic, which consists of cows, horses, and kids on bikes, as well as trucks. In El Tuito, you’ll find locals selling their goods from stands in the streets near the Cultural Center and right out of their homes or truck beds. Brush up on your Spanish so you can try some Panela, Oaxaca cheese, fresh produce, honey, agave nectar, and seafood. You may also want to try their famous Raicilla, which is similar to Tequila and recently legalized. If you time it right, you may find yourself in El Tuito during one of its traditional festivals, where you can see how the locals celebrate Mexican Independence Day in September or pay tribute to the Virgin of Guadalupe in January. The best way to take in all of El Tuito is with the Hidden Mexico tour from Vallarta Adventures. On this tour, you’ll get to stop at a family-owned botanical garden, tour the town of El Tuito, and see ancient petroglyphs. You’ll also enjoy fresh artisan bread, cooked in a hillside stove, while our tour guides entertain you with myths and legends from the residents’ pre-hispanic ancestors. This tour also includes a delicious lunch and dessert, as well as Tequila tasting. In addition to touring the beautiful El Tuito, you may want to check out the botanical gardens in Puerto Vallarta, which cover 64 acres of lush tropical vegetation. You can hike among the trees, flowers, and birds, or take a dip in the freshwater pools of the Horcones River. Be sure to check out the Orchid Conservatory, Tree Fern Grotto, and Galeana Family Cactus Garden. Vallarta Adventures offers multiple cultural tours so you can fully experience Mexican traditions, foods, and their everyday lifestyles. The Offroad Adventure Tour takes you for a journey in our easily recognizable yellow Mercedes Benz trucks, dating back to the World War II era. This full-day tour in the heart of Banderas Bay includes a 45-minute hike through the jungle where our guides will help you spot iguanas, tropical birds, and other wildlife. Continue with a walking tour through a Mexican pueblo where you’ll experience the culture and see traditional architecture. You’ll also visit a sustainable family farm and see how they grow and prepare their own food, as well as learn how authentic corn tortillas and delicious salsa are made. Finish the day with an al fresco meal on a secluded private beach. Much of the Mexican history in the Sierra Madre mountains centers around the arrival of miners looking for ore and valuable minerals. The towns of San Sebastian Del Oeste, Talpa de Allende, and Mascota are all tucked away in the picturesque peaks. Vallarta Adventures offers tours to all of these towns, giving you the opportunity to see original structures and Puerto Vallarta historical sites, dive into traditional Mexican culture, and enjoy the beautiful views. You can also check out the towns of Sayulita and San Pancho with Vallarta Adventures and get a close look at a party town full of shops and surfers, and an art community filled with crafts and creations. You can grab a fish taco or try some homemade ice cream. Book some cultural tours from Vallarta Adventures and add some authentic Mexican experiences and Puerto Vallarta historical sites to your next trip. Check out our Hidden Mexico tour, which includes a tour of El Tuito, or try our other great options! We’ll help you make your visit to Puerto Vallarta unforgettable.